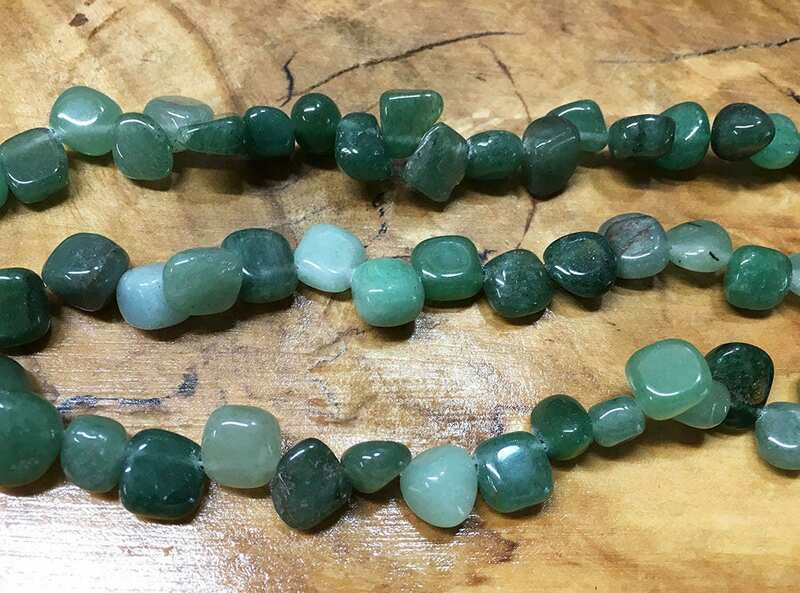 Green aventurine chips with hole running across the top. There are 25 to 28 beads per 8 inch strand. Each strand is a bit different, sizes vary on each strand.